No matter what sort of cargo you need to haul or tow, the new 2019 RAM 1500 has you covered. With best-in-class V8 towing and the ability to haul a heavy load, this pickup has all the specs you need for work or play around Green Bay. Read on to learn more about this exceptional truck, and make sure to stop by Vande Hey Brantmeier to experience this vehicle for yourself! 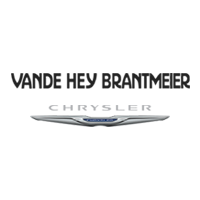 Find Your Next Truck at Vande Hey Brantmeier! With best-in-class towing, exceptional power, and fantastic dependability, it’s hard not to like our new RAM 1500 inventory. The 2019 RAM 1500 even rivals the heavy-duty RAM 2500, and you’ll be able to tackle any job or chore that comes your way with this powerful and reliable pickup. Visit us today in Chilton to test drive one or contact us with any questions you may have.